Adam: Can you tell us a little about yourself? Masami Tenkarano-oni Sakakibara: I was born in town of Morimachi, located in Shizuoka prefecture, not far from the famous Mt. Fuji. There was a river right in front of the house I was brought up, where I spent most of my time during my youth. My father was a great angler. He enjoyed saltwater fishing, freshwater fishing from Ayu (Sweet fish) fishing, Eel fishing, small stream fishing to big streams. He loved fishing. Of course he took me with him. It must have been when I was around 3 or 4 years old. I fell in love with fishing form a very early age. The river in front of my house, called Ōta river, was my playground growing up. I used to fish, and dive everyday even at night in the dark, to observe fish with my flashlight. I learned a lot about fish behavior from doing this. I tried many different kinds of fishing myself; saltwater fishing and all kinds of freshwater including western fly fishing, lure fishing, bait fishing and fishing using Kebari for other than trout. 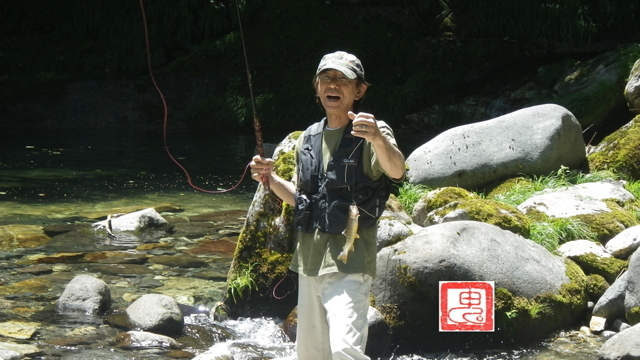 Fishing in mountain streams of Japan became my passion when I was around 10 years old, when I caught my first Amago. It was the most beautiful fish I’d ever seen. Eventually, I picked up Tenkara. I was about 25 years old. With my prior experience of using Kebari for catching fish other than trout, it was easy for me to pick up and the most exciting thing, similar to dry fly fishing was that you see the fish respond on the surface. It is also a very aggressive method of fishing. I had high standards for my fishing from my prior experiences, so casting with accuracy and implementing different techniques to make a fish respond to my fly came rather natural. So I’ve been a Tenkara Angler for 35 years now. I also love designing Tenkara rods. I was not happy with general Tenkara rods available so about 10 years ago I started producing them myself. I also have met many people through Tenkara, including many students who seek my lessons and advice, within Japan and overseas. I must say I am a very fortunate, and a happy man. Adam: That is just wonderful. I am 51 years old. I have been fishing since I was a young child. I started with a bamboo pole fishing in our farm ponds. My position in the community is Cardiovascular Medicine. I am a technician and work at a very busy Cardiology office. I have other interests that I enjoy for as long as fishing, skateboarding, surfing, gliding but it is fishing that I continue to do and I am three years fishing only Tenkara and am enjoying discovering everything that it holds. Adam: Mr. Sakakibara, may I address you as Masami? Masami Tenkarano-oni Sakakibara: Since I have a large group of students in Japan, they choose to call me “Shisho”, which means something like “Master Teacher”. Although it felt strange to have people call me that at first, I guess I’ve gotten used to it. I have no intention of imposing Japanese ritual or practices, so of course you can call me Masami. It would be my honor. Adam: I have been small stream fly-fishing and sharing my enthusiasm for it on the Internet as long as anyone or perhaps longer. In 1996 I meet another Japanese fly fisherman, his name is Yoshikazu Fujioka. He also began to make a web site on his favorite streams and sharing his own enthusiasm online. I shared to our readers the beautiful aesthetics of his web site. Adam: Do you know Mr. Fujioka? 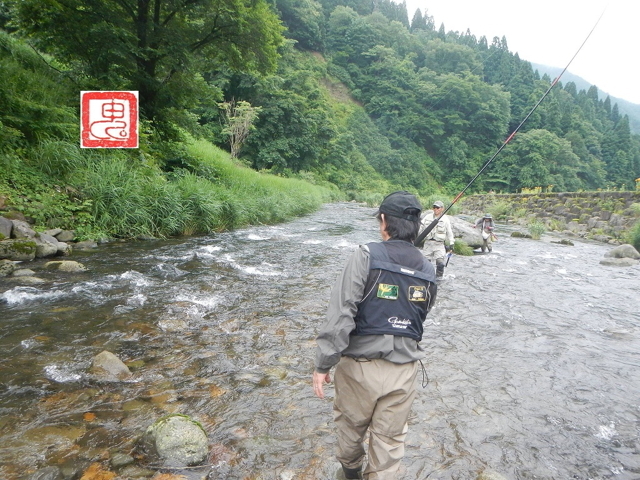 And is Tenkara so small that many of the anglers who practice it do not know each other? Masami Tenkarano-oni Sakakibara: Actually, Tenkara community in Japan is larger than most think. I have met many passionate Tenkara anglers in the past and I am always meeting new people. Unfortunately, I have not met Mr. Fujioka to this day but you never know when I will. Adam: Here in America, many of the participants of fishing use the Internet along with fishing magazines to gather information. At my Tenkara web site: www.tenkara-fisher.com I have a link page with two videos, “La Valsesiana del Giaponne” which you are featured in. It is one of my favorite videos on Tenkara. Can you tell me a little bit about the video and the making of it? Masami Tenkarano-oni Sakakibara: A Japanese man who lives in Italy, happened to come across my blog, researched my name and contacted us to see if was okay to make that video and we said okay. He wanted to introduce my Tenkara in Italy, and has been a good friend of ours since. He also became the bridge between Tenkara in Italy and Japan. Adam: As you can see for yourself, the Internet is a wonderful way to investigate your interests even in another country. I have been researching the Japanese books on Tenkara by Soseki Yamamoto. The books paint a picture much different than what I see that Tenkara is being portrayed by the American Media. It seems that there are many Tenkara masters and more than a few of them have passed away. In America, many of our anglers don’t even know the history of our fishing. So when I understand that some of the Japanese anglers don’t know some of the books or history, I understand this but it often makes things difficult for me to communicate, especially since I am a foreigner. My enthusiasm is great and with the help of my Japanese friends, I am able to research the history in the country of origin. Adam: Have you heard of Soseki Yamamoto and do you own any of his books? 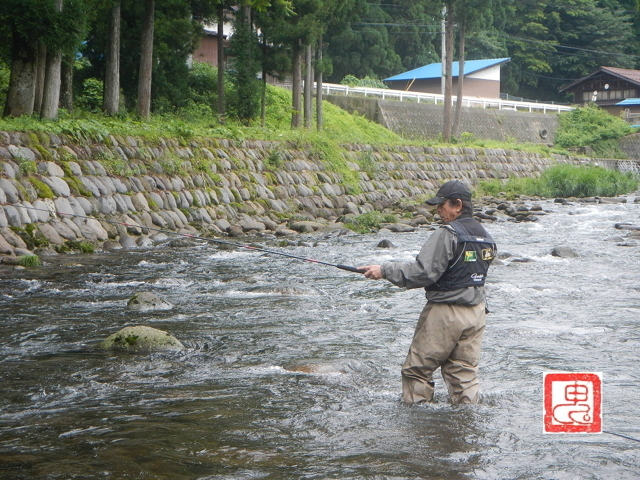 Masami Tenkarano-oni Sakakibara: I think that most anglers who love fishing in the mountain streams of Japan probably have heard of Soseki Yamamoto. 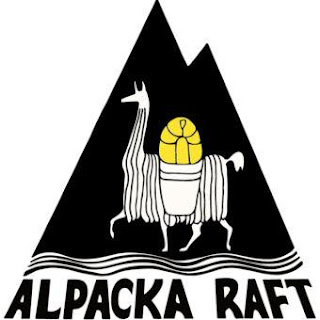 We know that he too was a Tenkara angler, but he was also a journalist. You have to acknowledge that Tenkara was practiced by professionals living off of the mountains and kept many secrets, including their methods of catching fish. Many have written about Tenkara as their discovery of ancient secrets in Japan, but I was brought up in environment where many of these professionals around me. So I am not particularly interested in knowing what journalists wrote, but I can understand why people are fascinated by these books. 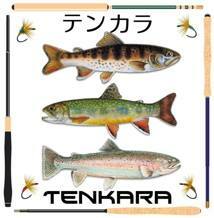 Adam: Here in America, Tenkara has been introduced by Daniel Galhardo and his company, TenkaraUSA. I am grateful to Mr. Galhardo for helping me understand Tenkara early on. He often refers to his Sensei Prof Ishigaki. Adam: Do you know Professor Hisao Ishigaki and what is your relationship to him? 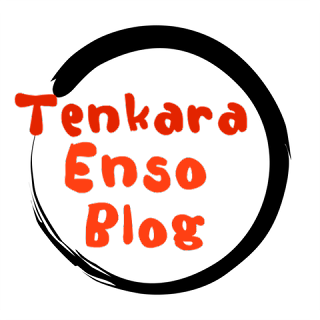 Masami Tenkarano-oni Sakakibara: Sensei has been a good friend of mine since1994. We have spent many days fishing together. He loves Tenkara, and he is also a great publicist, an ambassador of Tenkara. Adam: I understand that Prof. Ishigaki is associated with the Shimano ZE Mainstream rod. I own and use that Tenkara rod on occasion and do enjoy it. Daniel Galhardo offers the rod from his company, “Ito” and I also use that rod as well. I enjoy the Nissin rods from Hiromichi Fuji, the “Flow” series and use one of his rods too. I make it a point to own and operate all the rods from Japan that have a master’s touch in them. Adam: Do you have a rod yourself? Can you tell me about it? Masami Tenkarano-oni Sakakibara: I have tried many types of rods in my 35 year Tenkara career, but was never quite satisfied with any of them, so eventually I decided to produce my own rods. I have been making rods under my brand for about 10 years now, but since I demand high quality material for my rods, all production have been in small lots (100~200). Many are reserved prior to them introduced and they usually sell out before they get a chance to be marketed, but hopefully we’ll be able to make more in larger lots in the future. Adam: For three years now, I have been helping people understand that the rods from Japan have already been developed by Tenkara masters. Sakura Rod Shop is a very old Japanese shop and I help people buy these rods, as they are one hundred percent Japanese. The rods are highly defined with a long history. Here in America, the rod market has only one choice for those that do not use the Internet for sourcing the information. In my personal belief, it is an honor to purchase the rods from Japan, the country of origin. Adam: Do you plan on introducing your products to America? 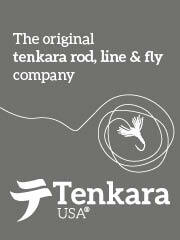 I believe that our country is ready for premium Tenkara rods that are highly developed. Masami Tenkarano-oni Sakakibara: I would love to when time is right. I would like to mention that because a Tenkara rod was made in Japan, it does not necessarily mean that it is better than rods made outside. All depends on what you’re fishing for, where (size of river and such), and your style. Adam: That is just great. I understand that another American, Chris Stewart has taken some guidance from you. In addition to Daniel Galhardo, I have interviewed Chris Stewart at tenkara-fisher.com just as I am interviewing you. Adam: Can you tell me a little bit about your meeting with Mr. Stewart? Did you guys get to enjoy a little fishing? Masami Tenkarano-oni Sakakibara: Yes Chris and Daniel came to Itoshiro of Gifu prefecture; a Mecca of stream fishing in Japan, for the annual “Itoshiro Fisher’s Holiday”. If I recall, we’ done a brief shooting with Daniel, and Daniel had gone with Ishigaki sensei, and Chris came with me. We only had 20 minutes or so together, but I was able to get him to catch an Iwana. It was very brief unfortunately, but hopefully we will have more people come visit from US and other countries to witness many of the highly skilled Tenkara anglers in Japan. Adam: I continue to develop my skills as a fly angler. I have learned the tools to communicate long ago, digital images, computers, networks, software and making forums on the Internet to share our skills. 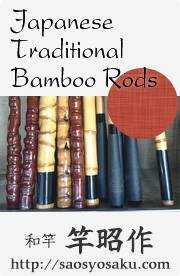 I have learned to make fly rods (Western with a reel) out of raw materials, bamboo. I have been involved in the making of graphite rods as well. Many of the anglers that I have introduced Tenkara to myself are already traditional fly rod anglers. They pick up Tenkara very quickly and often they are catching just as many fish as experienced Tenkara anglers. Adam: Do you also fish any other method? Masami Tenkarano-oni Sakakibara: Of course my passion is Tenkara and fishing in the beautiful mountain streams of Japan, but unfortunately our season only lasts from March to September in most regions. So during the off season, I’d go down to the beach and fish for Halibut and Sea bass, using lures for a leisure. I enjoy this, but not like I do with Tenkara. Adam: It is my understanding from reading the Japanese Federation of Fly Fishers that some participants have become “Westernized” I can understand that much of fly fishing has been developed prior to the introduction of it to Japan. But I see Tenkara as a PURE FORM of fly-fishing that is completely Japanese. It is no mystery that I am completely enamored by the Japanese and enjoy your country’s aesthetics and the people are fantastic. 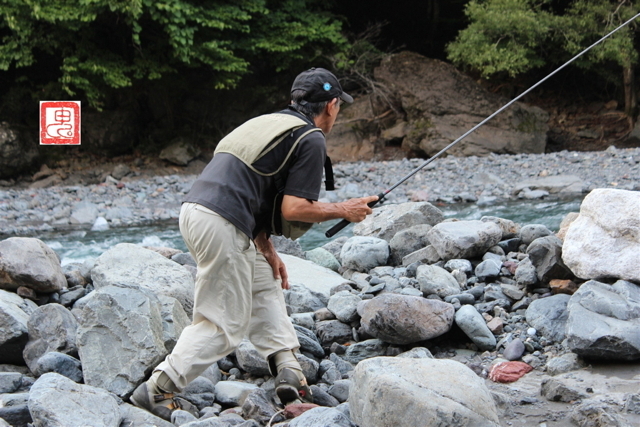 When I write about Tenkara on the Internet, I do not mince my words; Tenkara is Japan’s contribution to fly-fishing. When I practice it as an American, I always reference it as Japanese Fly Fishing. Here in America, many of the anglers use a Tenkara rod to catch warm water fish. They call this Tenkara. I think you could catch a Tuna on a Tenkara rod but I would not call it Tenkara. Adam: Can you help me to understand what your interpretation of Tenkara is? Adam: Thank you very much, I am learning so much. Adam: It has been written that Prof. Ishigaki uses a “one fly” technique. My personal opinion is to not only use one fly which is restrictive but to use any fly of my choosing. What is happening with me, I use just a few flys with different techniques for all of my Tenkara fishing. Masami Tenkarano-oni Sakakibara: I have fished for great many years with Ishigaki sensei. What I have learned about him is that he is a professor, and how he enjoys Tenkara is through simplifying it as much as possible. There are many ways to enjoy one method of fishing. Everyone I believe is specific about it, especially if you have many years of experience. There are so called “Masters of Tenkara”, who became known for introducing western fly fishing methods (using western Fly, shooting lines) to Tenkara. That’s how they enjoy it, and that’s great. I use Kebari from #2 to #15, mostly in similar patterns of black and yellow. The excitement I find in my Tenkara is in the whole process from, observing the situation, determining the most ideal fly color, size and applying the most adequate techniques to complement it. That’s what I think is the greatest fun in this sport for me. Adam: I personally tie my own flys but I have a few friends that I enjoy their patterns and I use their flys, I take them along with me when fishing the stream. Can you tell us a little bit about your fly choices and making them? Masami Tenkarano-oni Sakakibara: I don’t know how exactly it happened, but I ended up with patterns I use today, based on many years of experiences of Tenkara and tying Kebari. Strange thing, is, when I went to visit Valsesia of Italy, to learn about their traditional fly fishing method similar to Tenkara, and patterns on flies made there were almost identical to the ones I make. Adam: Mr. Sakakibara, I want to thank you for sharing your love of Tenkara with our audience. I appreciate the time that you have taken to share your enthusiasm. If you are ever in Phoenix, please consider yourself a guest in our home. At this time I would like to offer you the opportunity to write anything that you would like in closing. Masami Tenkarano-oni Sakakibara: What I appreciate about Tenkara for me is gives me the opportunity to appreciate nature. You deepen your understanding for the power of nature then you cherish it more. More you understand about fish you’re trying to catch, you will catch more. If you catch more fish, Tenkara gets better and better for you. Then Tenkara becomes more fun and eventually a true passion. I wish that more people would think seriously about why they enjoy Tenkara. I believe this will lead to greater growth of our sport, and also better preservation of the environment. I would like to express the deepest of my gratitude to Adam, for this wonderful opportunity.